M+B and François Ghebaly Gallery are pleased to announce their second collaboration for KUNSTHALLE M+B with Between Everywhere, an exhibition of video and images lingering on transitory moments and interstitial spaces by New York based artist Mores McWreath. As our world plunges deeper and deeper into a state of ecstatic and continuous communication, where even brief private moments are churning with the all-consuming, superficial chatter of reigning networks, McWreath’s work seeks out rapidly diminishing liminal space by employing imagery from our media culture while denying specificity. Following the success of his solo show curated by Andrea Zittel at the CUE Art Foundation in NYC in the fall of 2009, this will be McWreath’s debut solo exhibition on the West coast. Between Everywhere focuses on the neutral; moments apart from and between the endless harassment of communication networks whose daily bombardment works to exterminate interstitial space. McWreath’s work seeks to access the recesses of the mind, balancing somewhere in the state between waking and dreaming. Culled together over the past year in a process based on digital cataloging, researching and most importantly visual consumption, the exhibition centers around a feature length video, You Have Never Been There. Composed entirely of scenes lacking people from 120 apocalyptic movies, it is an ambient film of silent landscapes, seething seas, glowing moons, and panoramic rubble. Very much a self-portrait of Western culture delivered through the envisioned landscapes of it’s imagined destruction, McWreath’s film perpetually wavers in a state between horror and beauty, science and fantasy, suspense and relief. Using scenes that filmically function as establishing or transitory shots and that deny the viewer specificity, the final product exists almost exclusively as an in-between state, representing an idealized space of potential and projection. Mores McWreath (American, b. 1980) received his BFA from The Cooper Union for the Advancement of Science and Art and an MFA from the University of Southern California Roski School of Fine Arts. He attended the Whitney Museum of American Art Independent Study Program in 2008-09. In 2009 he had his first solo show in New York at CUE Art Foundation curated by Andrea Zittel. 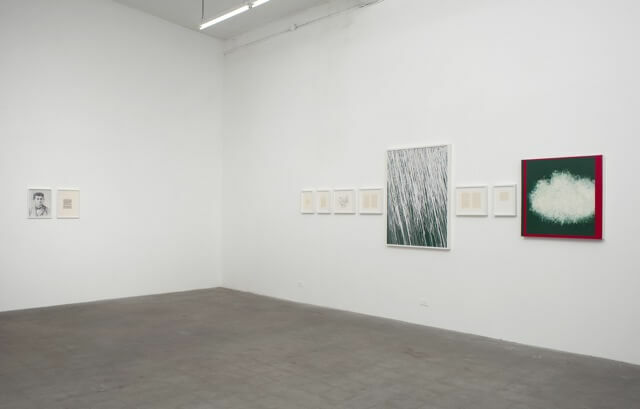 Recent group exhibitions include Video Art: Replay at the Institute of Contemporary Art, Philadelphia, PA, 2010; Theoretical Practice at the International Studio and Curatorial Program, New York, 2009; Worlds Away: New Suburban Landscapes at the Walker Art Center, Minneapolis, 2008; Ghosts of Presence at the Art Gallery of York University, Toronto, Ontario, Canada, 2007; and Flex Your Textiles at John Connelly Presents, New York, 2006. His work has been screened in festivals and exhibitions both nationally and internationally including Videomedeja Serbia, the Athens International Film and Video Festival, 700IS Iceland, and the Jakarta International Video Festival. He currently teaches at The Cooper Union.